An Angelino native, Ismael, our Programs Assistant, attended Pasadena City College before transferring to Cal State Los Angeles, where he received a Bachelors in Sociology with a minor in Economics, and continued to earn a Master’s in Sociology. Before working at SFC, Isamel has worked at many different non-profit organizations around Los Angeles, such as the People’s Care for Autism Services and Academic Advantage. He was last working at the Partnership for Los Angeles Schools, which is an organization that manages 18 historically undeserved LAUSD schools in the Boyle Heights, South LA, and Watts area. He is excited to apply his past experience into his work at SFC. 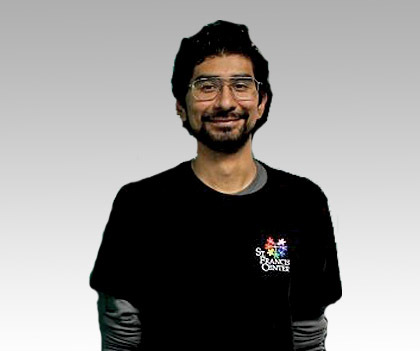 Ismael decided to work at SFC because he has always had a desire to have a career that focuses on helping others. The concept of community is important to him, and he saw that being implemented at SFC. In the future, Ismael hopes that SFC will continue to provide quality services to all who work through our doors and be a place where people feel welcomed and know they will be treated with dignity. In his free time, he enjoys playing the guitar, playing soccer, and exploring the city of Los Angeles.